Nobody in Germany should leave without a visit to one of the Christmas markets, an essential part of the Yuletide season. They should be seen, smelled, tasted and totally experienced. Christmas markets usually take place around a huge Christmas tree from the end of November to a day or two before Christmas. A word of caution: the big attraction of the market is atmosphere. There are no bargains there. You'll pay just what you would pay elsewhere. And the selection is limited, so don't think you can do all of your Christmas shopping there. 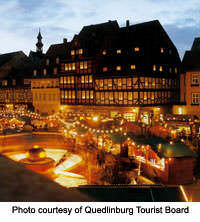 The most celebrated of all the markets is Nürnberg's Christkindlesmarkt on the Hauptmarkt. The Frauenkirche, overlooking the market has a glockenspiel, a bell clock on which wooden figures cavort several times a day. The Nürnberg event is Germany's biggest, but it has no more atmosphere than any one of hundreds of other markets, some of which are no doubt handier to you. Just about every big city and many smaller communities, especially those with reputations as tourist attractions, have Christmas markets. You can find out more about Christmas Markets in various German cities at this link www.germany-tourism.de/ENG/culture_and_events/christmas_markets.htm. 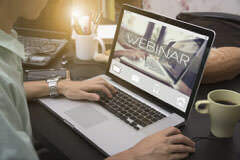 Select a city for information about dates and opening times. It's held on the Rathausplatz and Martin-Luther-Platz. Each year the city hall becomes one big Advent calendar, with scenes in the windows. Berlin, has many Christmas markets, at least one in each of its 12 districts. They include one in the Prenzlauer Berg district that is modeled on the Swedish Lucia Festival, in which a girl with a wreath of lighted candles in her hair plays the part of the patron saint of light. Another is on the impressive Gendarmenmarkt, but the Weihnachtsmarke Mitte, on the festival grounds on Alexanderstrasse, is probably the most impressive. The stands are grouped around a Ferris wheel and carousels, and a little railroad takes the kiddies through a "fairytale forest" under a huge Christmas tree. It takes place in front of the 600-year-old Michaelskirche in the old city of this famous, half-timbered wine town on the Mosel. The program includes a "Nikolaus-Wanderung" through the forests and vineyards that surround the town. 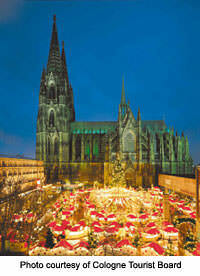 Cologne, has no fewer than six Christmas markets, each with its own character. Artistic craftsmen dominate the scene in front of the Cathedral, under the largest Christmas tree in the Rheinland. The stands are "half timbered" at the traditional market on the Alte Markt in front of the city hall in the old city, while the oldest of the markets is on the centrally located Neue Markt in the shopping district. There is even a "floating market" on one of the Rhine excursion boats, which will be at anchor on the Rhine Promenade during the market. Stands at the Striezelmarkt here feature wooden folk art from the nearby Erzgebirge; the "smoking men" who emit real smoke from their mouths; the Christmas pyramid which rotates by the rising heat from candles and tinkles as it strikes bells; angel candleholders, and especially those fierce nutcrackers; soldiers, kings and other authority figures who crack nuts in their mouths. Dresden is also the home of the rich stollen cake and the market usually includes one of record size. This city's Christmas market takes place simultaneously with its Lichterwochen, "light weeks" in which a hundred thousand lights in fantastic patterns turn night into day. Visitors to the fair can watch craftsmen at such occupations as gem cutting, glass blowing, wood carving and candle making. The fair takes place on the Römerberg, in front of the restored, medieval town hall. The Glockenspiel on the Nikolaikirche plays daily at just after 9 a.m., noon and 5 p.m. There is choral singing and trumpet music from the Nikolaikirche. The Frankfurt Christmas market has been "exported" with great success to its partner city of Birmingham, England, and it has been declared the most authentic German Christmas market outside of Germany. Hamburg, too has a number of Christmas markets to offer. The one in front of the city hall includes an art nouveau Viennese café, while guests at the one on the Spitalerstrasse are greeted by a giant plastic St. Nicholas. It takes place around the Marktkirche in this celebrated, half-timbered city of the Pied Piper. There are Advent cruises on the Weser in connection with the market. Heidelberg holds its Christmas market in three locations; Universitätsplatz, Marktplatz and Kornmarkt. At the last named, with a splendid view of the castle, there is a crèche where children can pet the live animals. The Alt Leipzig Christmas market, on the Marktplatz in front of the Alten Rathaus, has the largest free-standing Advent calendar in the world to fascinate young and old alike. The Christkindlmarkt is centered around a 30-meter Christmas tree in front of the city hall on the Marienplatz. The tree is a good place to meet your friends. The attraction Munich's residents love the most is the Kripperlmarkt, or crèche market. The figures of terracotta, wax or wood represent the Infant Jesus, Mary and Joseph, the Three Kings, the shepherds and their sheep, the donkey and the steer. They are lined up side by side in peaceful harmony, awaiting the buyers who will give them a place in their homes. It's held in the courtyard of the Turn und Taxis Palace, decorated with thousands of lights, candles, lanterns and sparklers. 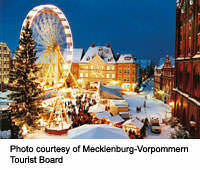 This celebrated fairy tale city is all the more picturesque during the Christmas Reiterlesmarkt. The Reiterle was the Germanic god Wotan, who rode his horse around during the winter to distribute gifts to the poor. At this market he, along with St. Nicholas, distributes gifts to the children. A traditional manger scene is set up in the courtyard of the city hall, and children march past it carrying lanterns made especially for the occasion.